Tested and calibrated on O.E.M. qualified test benches to ensure that the performance that you’ll get from your new fuel pump will be exactly the same as the one that came in your Duramax when it was brand new. Will fit all 2004.5 & 2005 model Chevrolet, GMC, & Hummer Duramax engines. 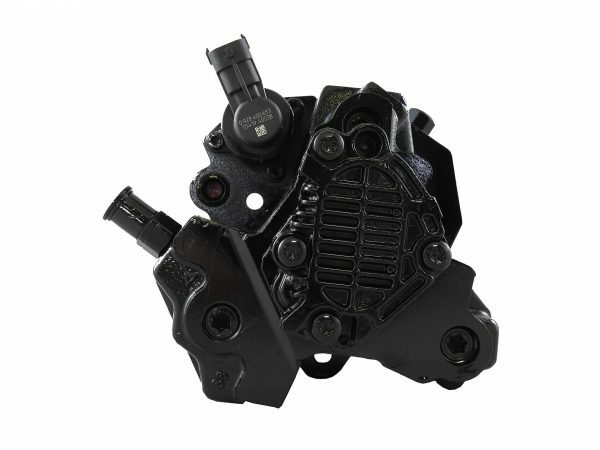 These pumps are rebuilt to the highest standards in the industry. We’re a family business and we’ve been specializing in diesel fuel injection since 1945. We’ve been to O.E. Certified training on common rail fuel systems and we test all of our parts on the same test benches and equipment that is used to test the original manufacturer’s parts. We’re not just an online company either – we have 8 locations in 4 states. If you have a problem you can also visit one of our stores. You can buy from Taylor Diesel with confidence. We stand behind every part that we make or sell, and these Surefire Fuel Pumps are no exception. Our Taylor Diesel Peace of Mind Warranty stands behind every Surefire Fuel Pump with a one-year UNLIMITED MILEAGE warranty at a very competitive price. You might find cheaper fuel pumps somewhere else, but you won’t find any with the same guarantee in quality and performance. Rest assured … when you buy from Taylor Diesel, you’re buying some of the best diesel parts on the market. If you have questions and would like to speak to one of our Taylor Diesel Fuel Injection Experts, please don’t hesitate to give us a call at (888) 340-2575.